– Despite having one of quickest cars during the INDYCAR Grand Prix weekend, race day goals Spencer Pigot were immediately interrupted on Lap 1. Spencer Pigot fell to 23rd after contact of his own and though he had to wait until the closing stages of the race to regain lead-lap status, he managed a 15th place finish. – Though this is Pigot’s first year of full-time Indy car competition, he has competed in the INDYCAR Grand Prix each year since becoming a Verizon IndyCar Series driver. He raced for Rahal Letterman Lanigan in the 2016 event, only his second career Indy car start. As road and street course driver of the No. 20 for the latter half of 2016 and all of 2017, he competed in the 2017 race for ECR. Now elevated to ECR’s only full-time driver, he took on his third INDYCAR Grand Prix behind the wheel of the No. 21 Preferred Freezer Services Chevrolet. – Pigot’s weekend was off to a solid start with two productive practice sessions. Aided by a test day in late March, Pigot finished with 8th quickest time in both sessions. Because of his even-numbered finishing position in the second session, he were assigned to Group 1 of qualifying. – The 24-year-old put forth the best qualifying performance of his career on Friday. Pigot best lap in Round 1 of 125.677 miles per hour landed him in third, a position that held until the end of the 10-minute session. For the first time in his Verizon IndyCar Series career, Pigot advanced out of the first round of qualifications and guaranteed himself his highest starting position to date. Round 2 saw Pigot turn a quick lap of 125.148 miles per hour, securing the 9th starting position for the INDYCAR Grand Prix. Pigot’s previous career best start was 13th, where he qualified three times in 2017. – Just after the drop of the green flag for today’s 85-lap race, contact with Takuma Sato in Turn 6 sent Pigot over the curb and soaring into the air. When the car landed, Pigot was able to continue but reported back that he felt damage to the underside of the car. Upon bringing the No. 21 Preferred Freezer Services Chevrolet back to the pits, it was discovered that the front air jack had been broken. Pigot rejoined the race directly in front of the leaders but had the speed to stay in front of them. 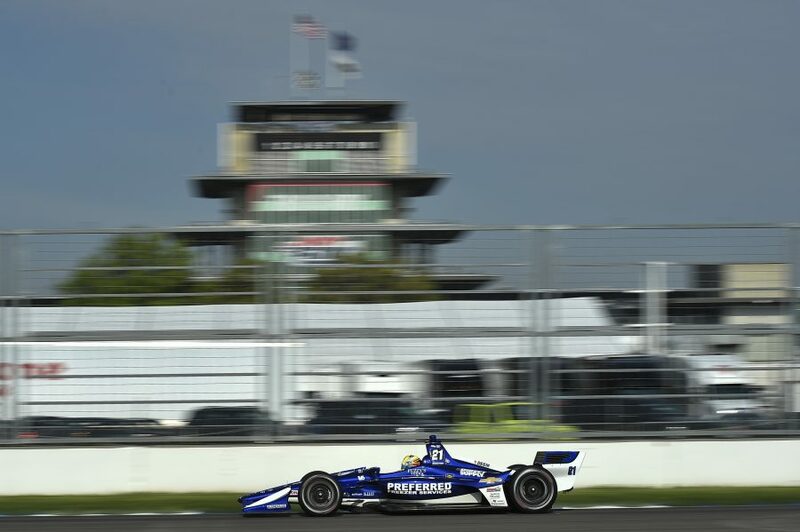 – Pigot remained one lap behind the field until the second and last full course caution on Lap 56 when Josef Newgarden spun and stalled on the track. While the rest of the field came into the pit lane, Pigot stayed on course. He received the wave-around and finally found himself on the lead lap again. In the 10 laps after getting back amongst the field, Pigot gained nine positions to run 14th. He was instructed to save fuel in the closing stages, which allowed Tony Kanaan to pass him. This dropped him to 15th, where he would finish his third INDYCAR Grand Prix.